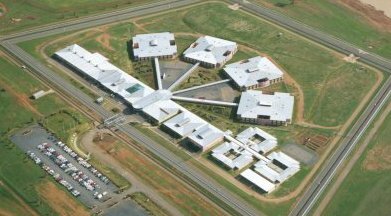 Ray Hadley has revealed concerning allegations involving staff and inmates at a rural prison in northwestern New South Wales. A source tells Ray Hadley inmates have been given large knives and other hunting equipment to go pig hunting with prison staff. Corrective Services NSW tried to deny the allegation but the whistleblower has now provided specific details of who the staff were, who the weapons belonged to and what vehicles were used. Staff at the prison have since been threatened, warned that speaking to the media is a sackable offence. The Brewarrina Correctional Centre is a minimum security prison for young indigenous men. Situated in the middle of a 10,500-hectare pastoral property, there are no high walls, no bars, no armed guards and no razor wire. The unique jail has been praised for its fresh approach to reducing indigenous incarceration rates but there have been some troubling incidents in recent times. Further allegations have now emerged of nine prisoners breaking into staff accommodation, stealing alcohol, cigarettes and even a mobile phone. Corrective Services have confirmed this incident.